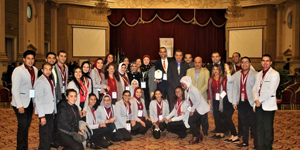 The faculty of Tourism and Hotel Management won the first place in the PUA Community Projects Competition for a presenting a research project entitled as “Glossary of Tourism and Hospitality Technical Terms”. The competition was held on Wednesday, 5 December 2018, with the participation of all PUA faculties. The community research projects were presented in the presence of Prof. Mahmoud Mohy El-Din, the President of Pharos University, Prof. Norhan Fanaky, the Vice-President for Education and Student affairs, other vice presidents and Prof. Amany Refaat, the Dean of the faculty of Tourism and Hotel Management. 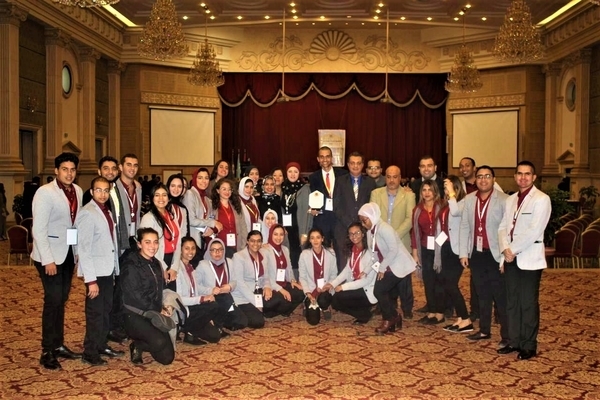 The competition was also attended by Mr. Gamal Hassan, the General Manager of Mercure Hotel, Mr. Yehia Abou El Hassan, a member of the E-Tourism Association, other deans, academic staff members and students.